Flourishing cloudbands, delicate vinescrolls and Kufic inscriptions are combined in this elegant and superbly colored Turkish rug from Herekeh. 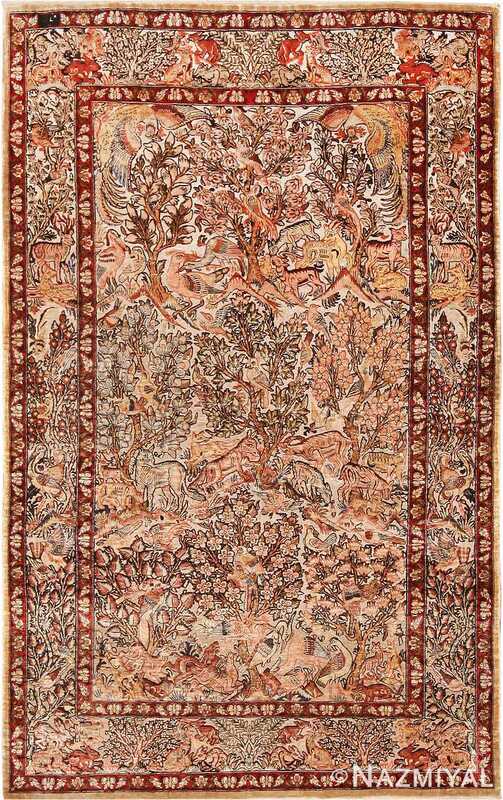 Hereke Rug, Turkey, Contemporary – This elegant Turkish rug from Herekeh features ornate vine-scroll arabesques decorated with trailing floral sprays, formal palmettes with poly-chromatic petals, and serpentine cloud-bands with rippling tendrils. 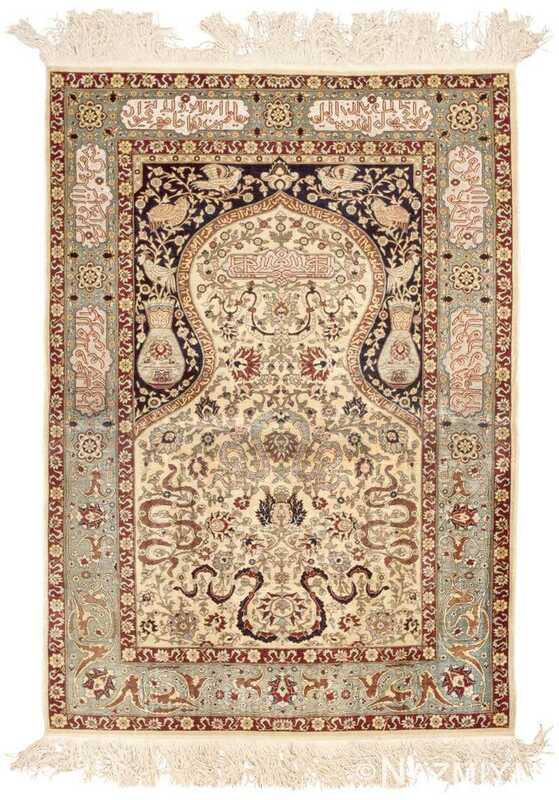 Woven in a directional prayer rug format, this elegant Turkish rug features an ogival mihrab with sweeping curves that are highlighted by strap-work details decorated with Kufic inscriptions. Delicate vine-scrolls, vases and detailed bird motifs decorate the Kohl black spandrels that surround the curve-linear mihrab. 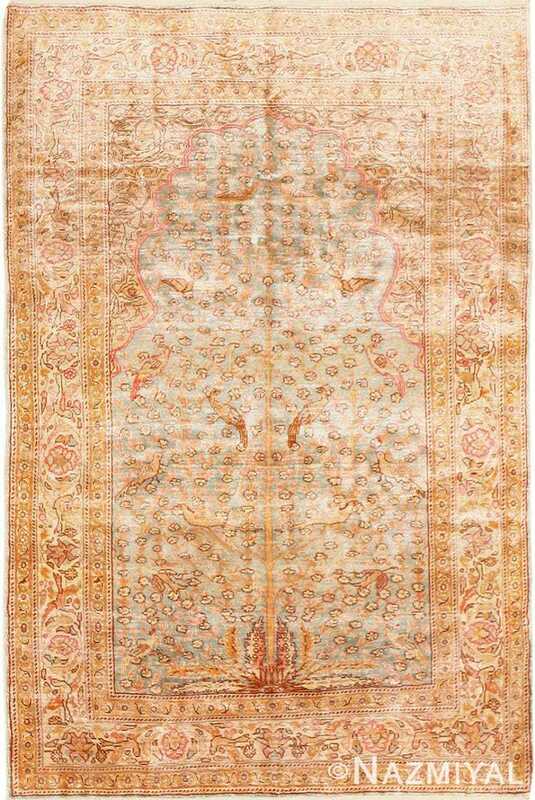 Softly oxidized borders feature inscribed cartouches set on a background embellished with palmettes, sinuous vine-scrolls and bifurcated saz leaves. 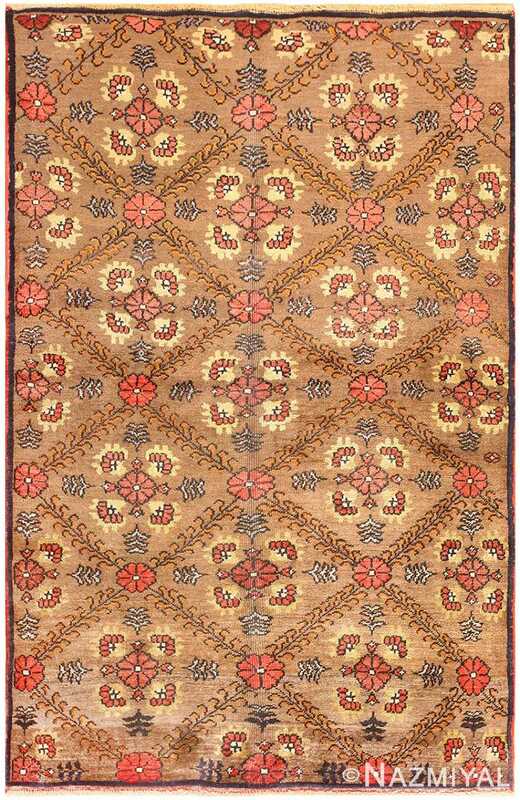 Ornate burgundy guard-bands decorated with elegant cloud-bands and floral motifs complement the creamy ivory field and oxidized borders that provide the final element in the classic color triad featured in this elegant Turkish rug from Herekeh.